The California native’s big break was being cast to star opposite Harrison Ford in Witness playing the unforgettable role of the Amish widow Rachel Lapp. This was followed by other films such as Top Gun with Tom Cruise, Made in Heaven with Timothy Hutton and The Accused opposite Jodie Foster. Other film roles include The Babe, At First Sight, The Settlement, Supergator, Stake Land, The Innkeepers and We Are What We Are. McGillis also worked in television and appeared on One Life to Live, The L Word, and TV movies that included Perry Mason: The Case of the Fatal Framing, Remember Me, We the Jury, The Third Twin, Storm Chasers: Revenge of the Twister and Black Widower. Her latest role is portraying an Amish woman in Love Finds You in Sugarcreek, an UP TV original movie which premieres June 1, 2014. The films also stars Tom Everett Scott and Sarah Lancaster and is based on Serena B. Miller’s novel of the same name. Melissa Parker (Smashing Interviews Magazine): Kelly, the last time we spoke, we talked about your performance in Jim Mickle’s horror film in We Are What We Are. You told me that you did not watch scary movies. Have you finally watched We Are What We Are? Kelly McGillis: No (laughs). No, I haven’t seen it. They sent me a DVD, but I haven’t watched it. It’s not high on my to-do list. Melissa Parker (Smashing Interviews Magazine): So now you’re trying to get typecast for more Amish roles (laughs). Kelly McGillis: I laughed when they asked me to do this Amish role. I giggled. But, I thought it was fun because she’s an older lady, and she’s very different. I thought it would be fun to do. Melissa Parker (Smashing Interviews Magazine): Tell me about Love Finds You in Sugarcreek. Kelly McGillis: It’s a nice little love story, and I really liked the fact that it was all family programming, you know, for everybody. My character is an older women who’s very salt of the earth and faces sort of a crisis she hadn’t been able to deal with over the last 30 years or so. Then this guy comes in and just kind of breathes life into all of these people’s lives. I just thought it was a sweet story. Melissa Parker (Smashing Interviews Magazine): As an acting teacher, what did you think of 7 year old newcomer Thomas Kapanowski? Kelly McGillis: I thought he was great. It’s hard to be an actor, and he was just really good. He was always there and was great fun to work with, just a pleasure. He definitely has potential. Melissa Parker (Smashing Interviews Magazine): Was this the first time you had visited the heart of Ohio’s Amish country? Kelly McGillis: It was, and I was really glad to do that. It was a delightful part of the world, and I really enjoyed being there. Melissa Parker (Smashing Interviews Magazine): I understand some Amish people do not like being photographed. What were their reactions to the film crew? Kelly McGillis: People were curious. They’d come and watch us film, but I don’t think they photographed any Amish people. There are so many varieties of Amishness. Just like in Christianity, Muslim or Judaism, there are extreme sects, and there are not as extreme sects. The people there were really nice and talked to us a lot. It was a good experience. Melissa Parker (Smashing Interviews Magazine): Similar to the experience you had during the filming of Witness (1985)? Kelly McGillis: Yeah, a little bit. It was probably less, though, because I think that was really the first time anybody had gone into that community and filmed anything, so it was a little different. You have a couple of Amish television shows, so I think that people have gotten used to the idea. Melissa Parker (Smashing Interviews Magazine): Is this your first experience with UP TV? Kelly McGillis: Yes. This is the first time that I’ve worked with them, and they were really lovely. It’s nice just because of the whole idea of family programming. I really like that notion. Melissa Parker (Smashing Interviews Magazine): Christine Fox, the acting deputy secretary of defense and a 1980s flight school instructor, just recently retired from the Pentagon. Was she instrumental in helping you prepare for your role in Top Gun (1986)? Kelly McGillis: I did meet her a couple of times actually because that is who my character was based on. Melissa Parker (Smashing Interviews Magazine): Almost 30 years after Top Gun’s release, do people still tell you they enlisted in the Navy because of that film? Kelly McGillis: Yes, people do still say that to me (laughs). Melissa Parker (Smashing Interviews Magazine): Will you be appearing in Top Gun 2? Kelly McGillis: Well, I doubt I’ll appear in it. I’m far too old, so I doubt I will. Kelly McGillis: Well, nobody’s talked to me about it, so I don’t think they’re leaning that way. I don’t know. Melissa Parker (Smashing Interviews Magazine): Do you teach your students how to prepare for a career in acting? Kelly McGillis: I don’t really teach them about preparing for a career in acting. What I do is I really try to improve their skills as actors. I teach speech and voice, and I teach scene study, so I’m not really involved in the “I’m going to teach you how to act.” I’m there to improve their skills that they have, and then if they come across a problem, we address that, talk about it and the different tools one might be able to use to overcome that problem. It’s really a way for me to give back what people shared with me. I honestly don’t know if I could teach anybody how to act. What I can do is to help people improve the skills that they have. Melissa Parker (Smashing Interviews Magazine): Is the class just open to local people? Kelly McGillis: One guy came from California; somebody was from Atlanta, someone from Charlotte. They’re from all over. Melissa Parker (Smashing Interviews Magazine): When we talked last year, you mentioned that your most memorable role was in the theater. Are you involved with any theater productions now? Kelly McGillis: No, I’m not. I’m just kind of hanging out and living my life, working occasionally and teaching. I think I have a good balance in my life because I work occasionally, and I get to play all the fun little parts, and I get to live my life. I really adore my life today. I get to teach which is giving back, and I feel like I’m living a pretty balanced life today. Melissa Parker (Smashing Interviews Magazine): Are you a grandmother who spoils the grandkids? 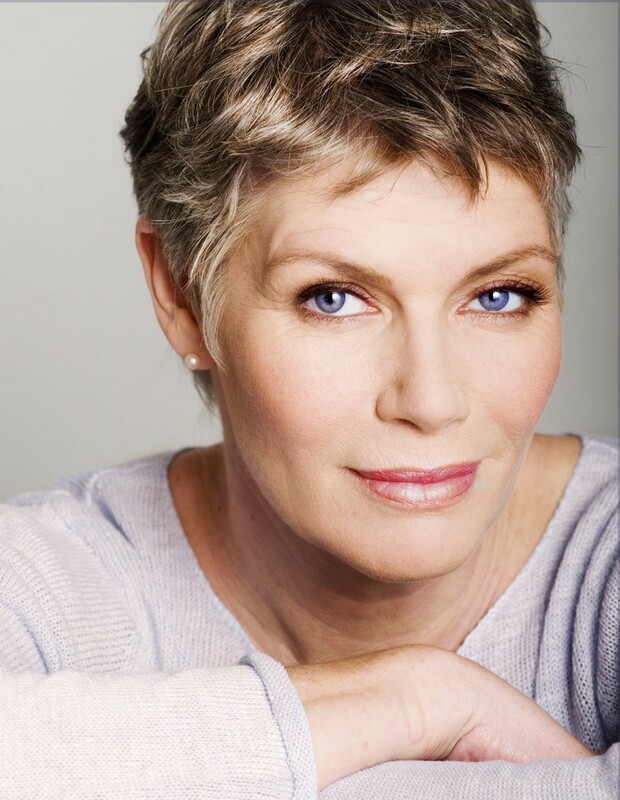 Kelly McGillis: My grandson just turned four years old. Unfortunately, they live in Florida, so I don’t get to see them very often. So, no, I’m not the typical grandmother. We live far apart. Melissa Parker (Smashing Interviews Magazine): Were your kids ever interested in show business? Kelly McGillis: I don’t know if they were or not. Sonora, my youngest daughter, just auditioned for a thing. I don’t really know if she’s interested in it or just kind of interested in something to do. I have no idea. Melissa Parker (Smashing Interviews Magazine): Have you finished the film Blue? Kelly McGillis: I did that in the fall. That was shot here, so I said, “Well, I’ll do this little character part.” That was fun. I don’t believe it has been released. Melissa Parker (Smashing Interviews Magazine): Kelly, what fills your time other than teaching and acting? Kelly McGillis: I garden. I knit. I have three dogs, and two of them are brand new puppies, so I hike with them. I help women get sober. I’m very involved in my church. I do a lot of things. Melissa Parker (Smashing Interviews Magazine): Helping women get sober in a rehab facility? Kelly McGillis: No. Just people who ask me to help them. Because I had my struggles with alcohol and drugs, I can help other women who have had the same problems. « Rich Robinson Interview: "The Crowes Are Always up in the Air"